If life was only meant to be easy, then we could choose our own mothers. You have seen other Mums who seem to be better, but somehow, you can’t bring yourself to hate your own mother. Deep inside your heart, no matter what fault she’s committed to you, you only have love for her. Indeed, there is no perfect mother. But nevertheless, we love them perfectly. This Mother’s Day, it wouldn’t hurt to make her feel special. She endured being in labor for 9 months, just to bring you out into this world. She ignored and suffered the pain of giving birth, to prove her immeasurable love for you. It’s about time to ask yourself, what did you do for her? On this very special day, don’t miss the opportunity to make her feel how grateful you are for her support. She has been there in each of your endeavors and has always been present to comfort you when you’re crestfallen. Every year, we are only given one day to celebrate our mother’s existence. So why not make the most out of it? Mothers are selfless and tend to prioritize our well-being above their own. This is the perfect day for us to spoil and pamper them with our affection. There is no need to fret over what to give your beloved Mum, giving flowers is a simple act of love that will surely make her smile. 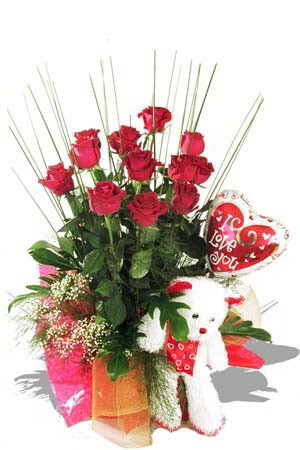 Florists give us some bouquet designs that would suit our beloved mothers. We all have that unique,crazy, and loving Mums but nonetheless, they only deserve the best. So… we have compiled these 10 flowers that would fit their different characters. Growing up, you get a lot of attention. She’s always into your business. This kind of mother makes sure that you eat 3 times a day even if you can obviously take care of yourself. Despite the fact that she knows you can handle yourself, she makes it a point that she does something for you. May it be from ironing clothes to buying you medicine, she’s sure to make you feel cherished and loved. 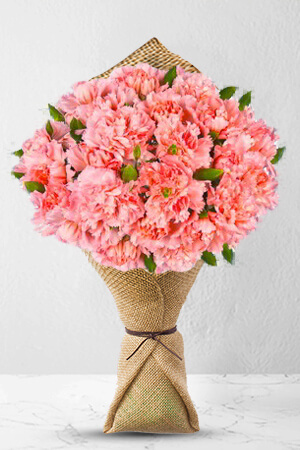 Elva is an exceptional bouquet of pastel Carnations with a hint of gentle Baby’s Breath. These charming flowers will remind you of a mother’s tender love and care. Simplicity radiates from her. From the way you fix your hair to the way you wear your shoes, she makes sure that you look prim and proper. She doesn’t let you wear mini shorts and vulgar shirts. With her manner of fashion, she looks like an angel. According to her, you don’t have to show some skin and smoke some weed to look cool. 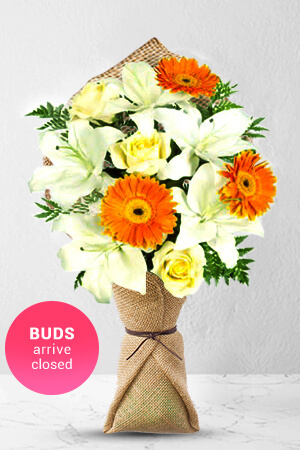 Grace is an elegant bouquet of smooth white Oriental Lilies and Roses with a touch of orange Gerberas. This arrangement is a reminder of a mother’s angelic smile. She wants everything to be flawless. She is particular with every single thing. Even as the head of the family, your father can’t argue with her regarding running the home. When you were in school, she checks on your grades from time to time to make sure you are doing well. Summit radiates an air of sophistication. 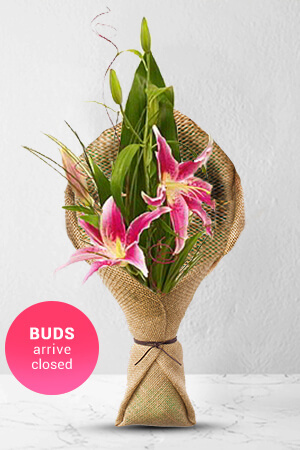 Utilizing a single stem of ravishing pink Oriental Lily with a natural wrap, this exquisite bouquet is the perfect reflection of a mother’s elegance. She can do anything. She is all around. Since your father is not always there, she learned how to fix things herself. You picture her as “super” Mum, always there to the rescue. Although she is tired from work, she still manages to spare time to help you with your assignments. Chirpy portrays an unsung hero. 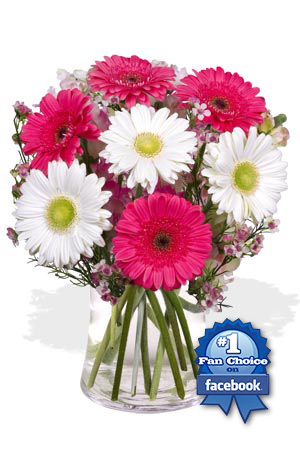 These colorful Gerberas echo the different traits of a loving mother. She is the exact opposite of strict. When all your other friends can’t attend a party because their parents are strict, your Mum lets you do anything as long as you go home safe and sound. You are exposed to different things in life. 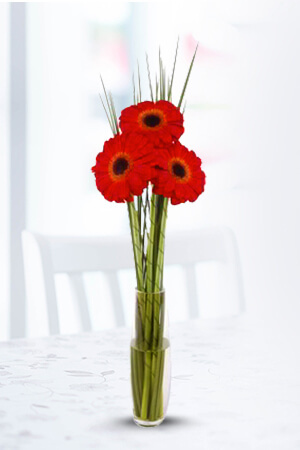 Flirtatious is an ecstatic clump of 3 red Gerberas together with a piercing Spear Grass. This cluster imitates the pride of an unconventional Mum. She doesn’t look like a mother at all. A lot of your friends ask you how she always affords to look fabulous. She tries hard to fit in your generation. Even if her hair and makeup are done almost every day, she never fails to pamper you with motherly love. Tender Tulips brings out the best in modern Mums. 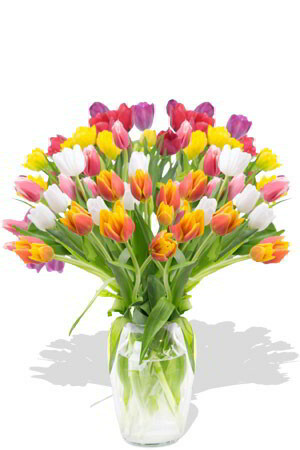 A bunch of tulips is a great way to say “thank you” on Mother’s Day. She doesn’t need any help from any man. She is your mother and father at the same time. She’s doing fantastic in fostering you single-handedly. This Mum is a woman of strength. 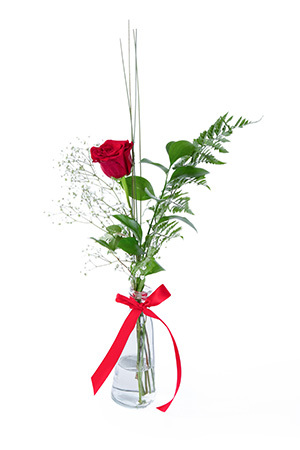 Single Rose is a splendid way to express gratitude for your Mother’s determination. Amidst thorns, a rose still stands out with its ethereal beauty. When you were young, you can’t go to a party without sending a week’s notice to your Mum. You have a curfew and when you don’t arrive on time you are grounded. She is a very strict Mum and apply rules and regulations in all things you do. She doesn’t hesitate to discipline you, to guarantee that you learn from your mistake. And now that you’ve known that her strictness has helped you a lot, you’ve realized that you wouldn’t be who you are today without her. Infinity got all that you want to give, with a bear, balloon, and 10 fascinating long stemmed Roses. This combination is a great way to give back to your mother for all those years she took care of you. She doesn’t want you hanging out with friends who are a bad influence. She is quite paranoid and wants you to stay at the house all the time after school. You never had a chance to go out on dates because she’s afraid that the other gender may hurt you. Even so, she makes it up to you by giving you every material thing that you desire. Because of this, every year, you have the latest gadgets. Your best friend is literally your Playstation. 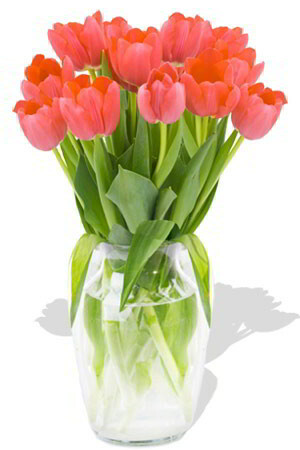 Tulips Galore is an overwhelming bouquet of mixed Tulips ideal for making an impression. 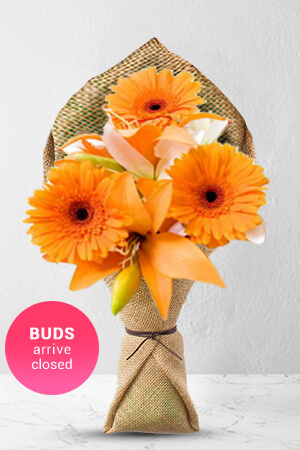 After all those times you are ungrateful for her efforts in protecting you, this bouquet is a terrific gesture to show your thankfulness. A mother’s sacrifice for her children is boundless. This very special day, don’t forget to make her feel loved. A simple gesture like giving a bouquet of flowers is enough to make her smile.